Zoe Mckee started working in the domestic abuse sector in 1992 as a Trustee for Basildon Women’s Aid, moving into volunteering and then paid work. She has worked for what is now Changing Pathways for over 20 years, holding many different positions including Children’s Practitioner, Refuge Practitioner and Outreach Practitioner. She is an accredited Idva and Isva, and is now the Senior Health Idva at Basildon and Thurrock University Hospital (BTUH). 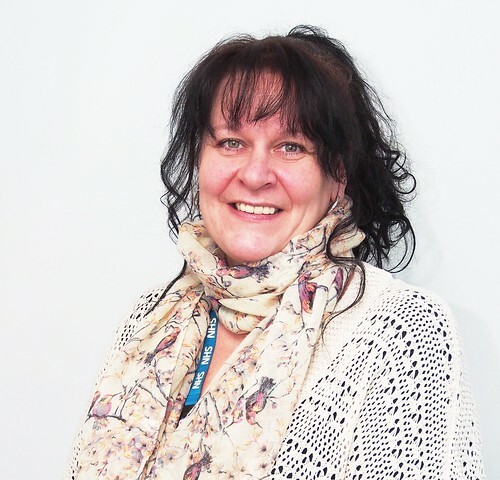 She works closely with hospital colleagues to support survivors of domestic abuse within the hospital setting. I am a survivor of domestic abuse, and this lived experienced drives my passion to support survivors to be safe and recover from their abuse. What are some of the challenges and opportunities when working in a hospital setting? Working in an acute setting can bring many challenges and pressures. However, always having a support team around you to bounce off when it gets tough is so beneficial. Working in the hospital environment enables the team to support the victim immediately from disclosure of domestic abuse and to joint work with the various hospital teams. The clients, and making a difference to their lives and assisting them to achieve a positive outcome. Although I have learnt many different ways of coping when days can get complex and challenges make it a long day, the support and empowerment from many avenues such as Changing Pathways CEO, Directors at BTUH, Safeguarding Teams and my close working colleagues makes a huge difference. I'm most proud of engaging and building a rapport with clients; watching their confidence and self-esteem grow is so rewarding. I am also proud to work with such wonderful, caring people who will go that extra mile to keep a victim and their family safe. Collaborative working is very much part of the process and the outcomes knowing you have supported so many people to safety and they then go on to build a more positive life for themselves. If you want to make a difference to someone’s life then work with vulnerable people in a supportive capacity. This is a role that can be challenging but rewarding and I am driven by the change that victims of domestic abuse are able to make with our support to live their lives free from fear and abuse.